In June of 1966, The Beatles returned to their old German stomping grounds in a tour that would carry the title 'Bravo-Beatles-Blitztournee.' They performed in Munich and Essen, then finally returning to Hamburg in much higher style than their Hamburg shows just four years before. 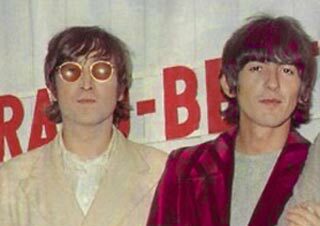 The Beatles performed two shows at Gruga Halle in Essen on June 25th, holding this press conference between the two performances. Q: "Would you be so kind as to tell us something about your impressions in Munich and here in Essen?" JOHN: (jokingly) "NO! Umm, yeah." 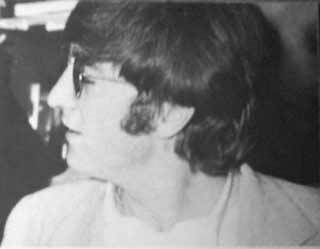 JOHN: "It's very nice. We only saw the hotels and that." Q: "What's your opinion about your listeners here in Essen?" 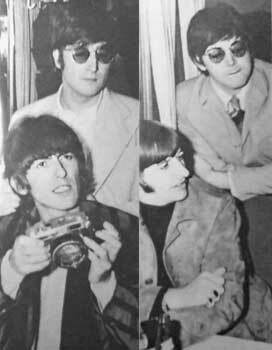 RINGO: "Yeah... The best audience." JOHN: "Louder audience than Munich." Q: (female voice) "Do you like the German girls?" Q: "Do you think it's very exciting and nice to be here as you are today, or would you rather be in Hamburg again?" PAUL: "No, it's just wonderful. As you can see, we enjoy it." Q: "What do you think of a lot of noise at Beat concerts?" PAUL: "Umm, yes. Just about as much as at a football match." Q: "What's the difference between German fans, English fans and American fans?" RINGO: "They're all the same." Q: "There's an old German song that says 'Why is it so beautiful on the Rhine?' You've traveled along the Rhine, what are your impressions of it?" 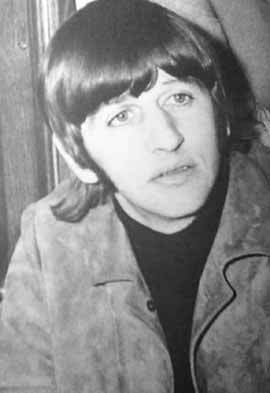 RINGO: "I slept, you know." Q: "What about an appearance in Canada?" RINGO: "We go there in August." GEORGE: "We've been there three times." Q: "Are you never homesick?" Q: "John, what's the time?" 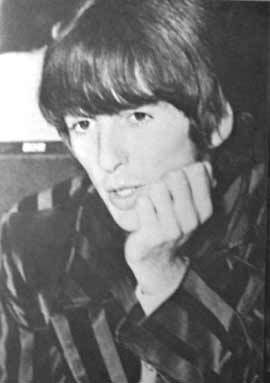 GEORGE: (pause) "Five 'til eight, on my watch." RINGO: "Time you were in bed!" Q: "Are you afraid of your trip to Tokyo?" Q: "Because they said they would cut your hair over there." JOHN: "They'd just imitate us." Q: "Do the Beatles plan in the near future to make another film?" JOHN: (exaggerated German accent) "YA!" Q: "Do you have any idea what it's going to be like?" JOHN: "No. We have no script." Q: "Do you sing for music or for money?" JOHN: "Well, when they don't pay you, you do it for music." Q: "Do you do it for love or for money?" Q: "Is it possible that you will make a film without music?" PAUL: "Umm, no. Not likely. It's possible though, but it's not likely." Q: "If you would have to buy a ticket for your own performance, how much would you pay for it?" JOHN: "We know the manager, so we get in free." Q: "Do the Beatles write their arrangements for their songs all by themselves?" Q: "Who wrote the arrangement for 'Michelle'? PAUL: "We did, all together. We do them all together." Q: What do you think about people who have written about you? Do you think they have intelligence or not?" JOHN: "Some are intelligent, some are stupid. Some are silly, some are stupid... the same in any crowd. They're not all the same. Ein is clever... Ein is soft." Q: "What do you think of the questions you are getting asked here?" JOHN: "They're a bit stupid."